I have come out with a simple diagram to illustrate different levels of personal finance. 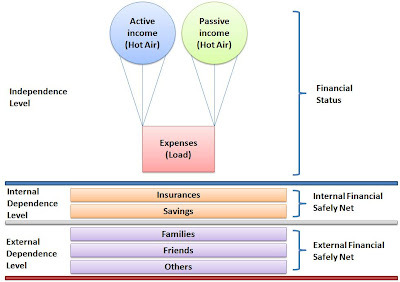 I am using the concept of hot air balloon as an analogy for personal financial status. 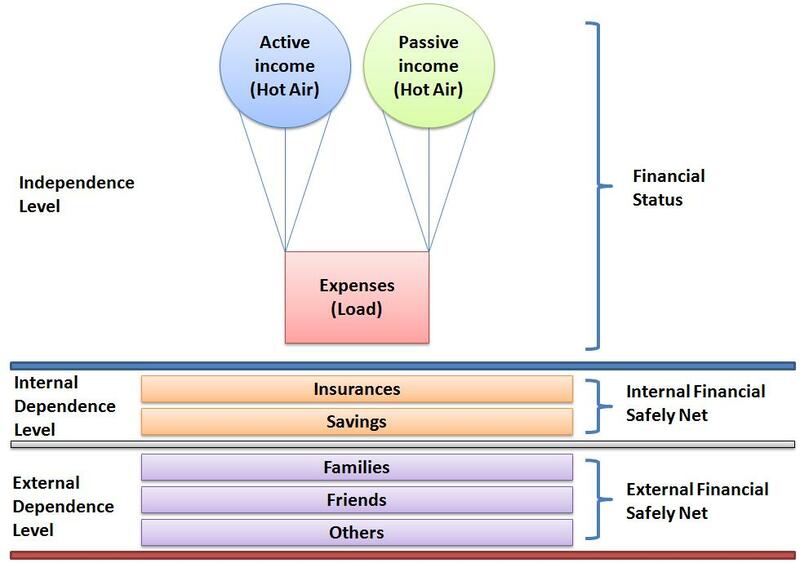 The hot air (Active income and passive Incomes) is used to keep the balloon afloat, whereas the load (Expenses) is pulling down the balloon. As long as you have enough hot air in your balloons to carry your load, you will be at the independence level. This safely net is built normally by yourself to cushion the effect of the fall when you do not have enough hot air to support your load. The fall may be caused by losing your full time job or you are not unable to work due to health problem. At this internal dependence level, you will need to depend on your insurances and savings to survive. You will need to depend on the external safely net when your internal safely net is broken. At this external dependence level, you have no choice but to depend on other to survive.